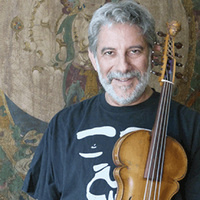 Improvisational violinist Stephen Nachmanovitch, author of Free Play: Improvisation in Life and Art, presents a lecture in free musical improvisation, followed by a hands-on workshop. Audience members are invited to bring their musical instruments, but non-musicians will also be welcome to participate. Nachmanovitch will also present a collaborative and improvised recital on Wednesday, Feb. 13 at 5:00 pm in Ramo Hall.